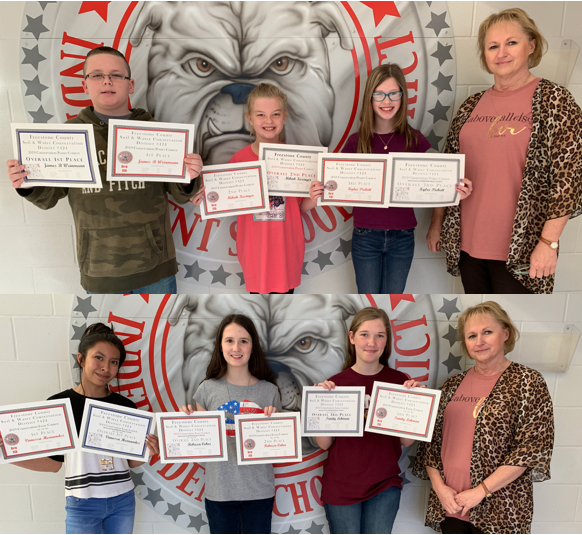 The Freestone County Soil and Water Conservation District recently announced the winners of their poster and essay contests. Seventh and Eighth Graders submitted essays. 1st Place Winner: Vanessa Hernandez; 2nd Place Winner Rebecca Coker and 3rd Place Winner: Trinity Lehman. In addition, Vanessa's essay won 1st place in Area IV and Trinity's was the 2nd place winner at Area IV.